Imagine your centre halving its electricity consumption. Is that possible? Well, yes, it is. And it also benefits everyone. This “simple” gesture would reduce air pollution, your electricity bill and also make your centre more amenable for learning. 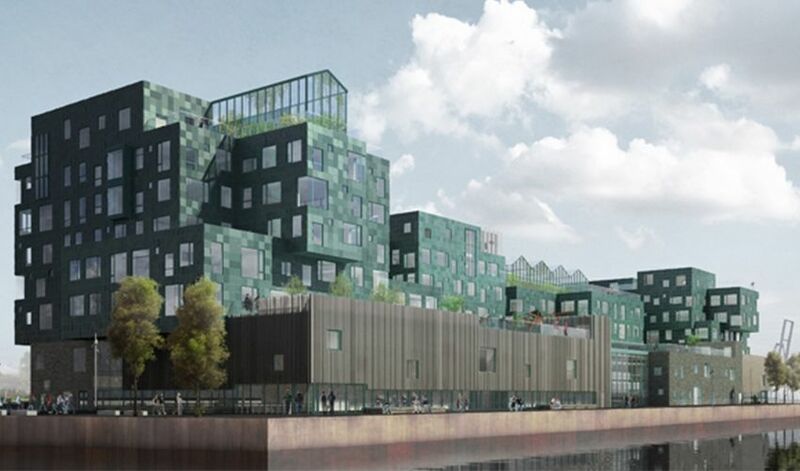 A lot of schools have already installed solar panels at their facilities but the Danish education centre CIS Nordhavn Campus has gone a step further and combined a range of sustainability criteria in its design, reducing its energy demand and producing 50% of the energy it consumes. How has it done all this? Among other measures, by covering the façade with 12,000 solar panels that generate half the energy the centre requires, and also by using special glass in its windows that allows natural light through but filters out infrared and heat. It has also opted for LED technology to light the classrooms, with the ability to change the type of lighting depending on whether pupils are carrying out activities, relaxing, reading, etc. Teachers can also control the tone and temperature of the light in their classrooms to aid learning. Greenhouses have also been installed on the centre’s roof to grow vegetables which are then served in the canteen. Such actions have not only helped to reduce the centre’s energy needs but also serve as educational tools for the teachers themselves. For instance, the solar panels are connected to the classrooms and pupils can monitor how they work and the energy produced and consumed. The greenhouses are also used by the school, teaching pupils about agriculture and healthy food products. According to the centre’s director “we don’t just teach sustainability but teach through sustainability”. Get to know the centre in this video (in English).